Wild flowers brighten even the dullest day. Snowdrops in the midst of winter tell of better weather to come, whilst lesser celandines are one of the first signs of spring. Even late-flowering November blooms help hold at bay the prospect of shorter days and longer, colder nights. And of course, all the wild flowers in-between have their own special magic. Amongst them in the New Forest are some real corkers. There’s the wild gladiolus, which in Britain is found nowhere else, and the tiny bog orchid is almost as rare. Then at the other end of the abundance scale are the heathers, plants that gloriously carpet the mid and late-summer heaths with extravagant colour. 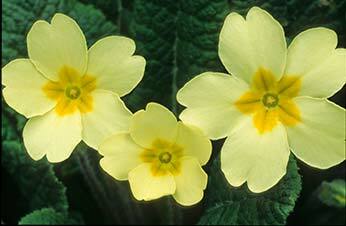 These pages provide an overview of some notable New Forest wild flowers. Many are common and widespread; others take a bit of finding. Most, as will be seen, have been used in herbal medicine, a countryside art based on natural ingredients that pre-dates today’s modern pharmaceutical industry, and many would say, heals just as effectively.